Lyubov with her husband and four sons moved to the capital last autumn. Their house in Donetsk happened to be located in the shelling area – so they had to bring the children out of there. All that time, football remained the only escape for the war-affected boys. Admittedly, the fan passion in their family is significant: the matter is that the preferences of Myroslav, Yaroslav, Svyatoslav and Rostislav divided between the two clubs - Dynamo and Shakhtar. 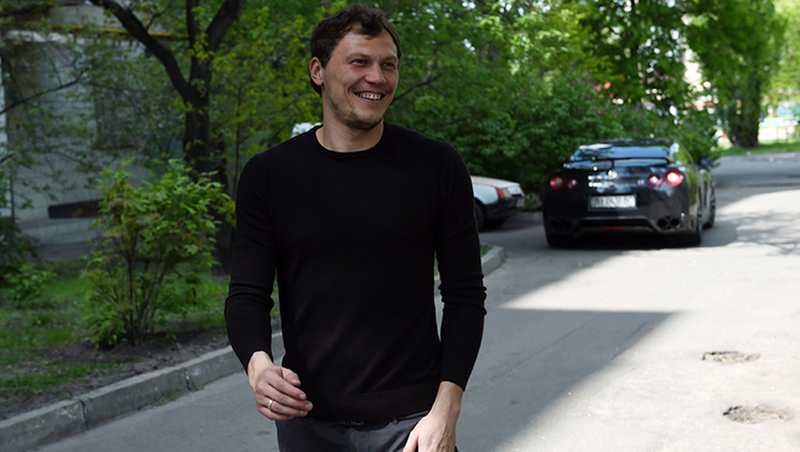 Before Andriy Pyatov’s arrival, there was parity between the brothers: two by two. - We have a football family. Perhaps God was so pleased with us having four boys, with all of them being the same age, - says Lyubov Ageeva. – The children took a liking to football long ago. They used to go to the Donbass Arena, walking around near the stadium. But! They root for different teams: Rostislav for Shakhtar, and Svyatoslav somehow chose Dynamo. Later on, Yaroslav, Myroslav, my husband and I joined the ranks of supporters, so now we have two camps. It’s even more interesting like that! Today, the brothers have formed their team, playing the ball in the yard, arguing with one another regarding the outcome of the Shakhtar vs Dynamo meeting. - We will watch all the matches, - continues the children’s mom. - The neighbours already know it: Shakhtar will play, and we will be rooting for them – to run, scream, jump and enjoy every goal scored by Donetsk. We have a tradition: before the game we cook a pizza, prepare a compote and sit down to watch TV! Naturally, the non-conventional family interested Andriy Pyatov. Shakhtar goalkeeper got some gifts and went to visit the young fans. Incidentally, the Shakhtar goalkeeper’s visit lead to the fact that Myroslav joined Shakhtar fans! Now, the Ageev family have four people (including the mother) against two (Svyatoslav with the father). - The kids get more fun when they support different teams! They have something to discuss, to argue about, to defend the interests of their favourite club. They will rally even more, - said Andriy Pyatov. – I know judging by my children: they are just different, and that's great. The highlight of Andriy’s visit was a mini-game against the Ageev brothers right in the yard in front of the multy-storeyed building. The common dream of the boys – to play in the same team with the famous footballer – has come true.